While some people love Winter and all the things that come with it (Skiing! Sweaters! ), it’s also the time of year where the cold makes you want to bundle up, put on a pair of cozy socks, and plop yourself on the couch. Luckily, there’s another Winter staple to add to the mix: hot chocolate. Since childhood, the sweet treat is something to enjoy on a cold night or during a snow day. Now that we’re all adults here, we can do what we want, and you know what that means? Boozy hot chocolate. Adding vodka, bourbon, or other liqueurs to hot cocoa elevates it to fancy cocktail level without losing its comforting traits. 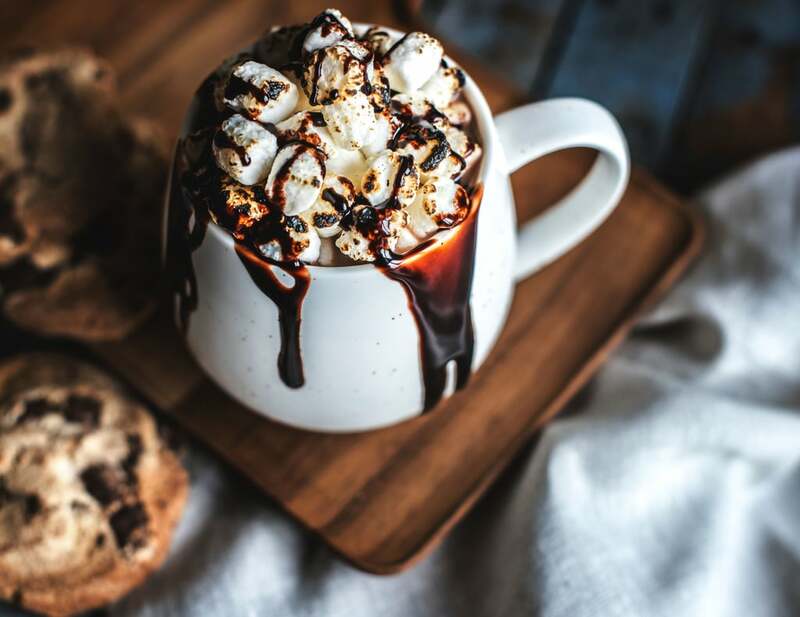 So whether you’re snuggling up solo under your blanket, with your sweet pet, or next to the person who makes your heart skip a beat, here are some spiked hot chocolate recipes that you’ll want to make all season long.